It’s the use of practices designed to increase the quality and quantity of traffic that comes to your website. SEO is what allows search engines like Google to quickly catalog the content you offer and rank it for incoming search queries. Beyond the actual development and design of your website, there are ways to search engine optimize content that you post. This does not mean use as many keywords as possible. This practice is referred to as “keyword stuffing”, which can hurt your credibility. A good rule of thumb is to focus on one or two long-tail keywords per post. Long-tail keywords are longer, often question-based keywords that keep your post focused on a specific goal. This allows you to attract quality visitors who are actually interested in your content. Web visitors searching with long-tail keywords are more likely to read the whole post and then seek out more information from you. 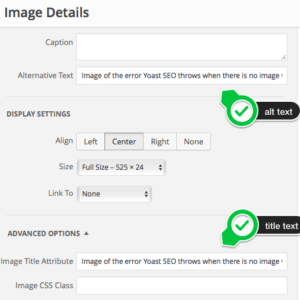 Whenever including images in your content, be sure to include keywords in the file name and in the alt-text field. Including links in your content is a great way to boost your search engine ranking. There are two types of links to include: inbound and outbound. Inbound links re-direct to another page on your website or blog, typically offering more information or encouraging the reader to connect via email. Outbound links push to more information outside of your website, such as another blog with referenced information. In some cases, when linking to a blog, they will return the favor and provide a link to your website for their readers. According to Google, more than 50% of search queries come from mobile devices. This means that it’s vitally important for your website and content to be mobile-friendly, which can be achieved through responsive design. Websites that are responsive to mobile allow blog pages to have just one URL, instead of two—one for mobile and one for desktop. This helps your SEO by not dividing any of your incoming traffic to separate URLs. Responsive design also means your content is quick to load and easy to read on a mobile device. If a mobile user finds it’s difficult or confusing to navigate your site, they’ll simply find a another website. Topic tags can help you organize blog content. But much like keywords, if you overuse them, you can get penalized by search engines for duplicate content. When you create a topic tag, you also create a new sit page where any content under that topic tag will appear. If you use too many similar tags for the same content, it will appear to search engines that you’re showcasing content multiple times throughout your website. For example, tags like “Blogging”, “Blog Post”, and “Blog” are too similar and can easily fit under one tag. As a general rule of thumb, choose 15-25 topic tags that you think would fit well with your blog. Search engines favor URLs that make it easy for visitors to understand what content they’re about to see. For example, at www.mxtrautomation.com/contact, you could expect to find the contact page. If you want to navigate to the services section, all you have to do is change the word “contact” to “services”. This type of URL structure helps visitors understand that these pages are small sections—sub-directories—that make up a larger website. Think of it as a categorization system for readers and search engine crawlers. Most blogs are structured as individual posts that rank for specific keywords. This result tends to be unorganized, leading to your own URLs competing against one another in search engine rankings. One solution: the topic cluster model. This is where you choose broad topics for which you want to rank, then create content based on specific keywords related to those topics, all of which should link together to form a boarder search engine authority. One of the easiest ways to optimize for search engines is to add your blog to Google Search Console. Here, you’ll be able to analyze your website from Google’s point-of-view. This removes the guesswork from SEO and allows you to focus on aspects of your blog that Google deems important. SEO is an extremely important aspect of your website that should not be forgotten. From incorporating keywords to using Google’s Search Console, there are plenty of ways you can begin optimizing today. Don’t have the time to focus on SEO? When you partner with an agency like mXtr Automation, we work with you to develop a holistic marketing strategy that’s tailor-made for your business. From lead generation to search engine optimization, we have you covered.